Btw. 5th Ave & 6th Ave. Using ancient knowledge and practices, this workshop will help you remember your innate gifts to create miracles for yourself, others, and the Earth. 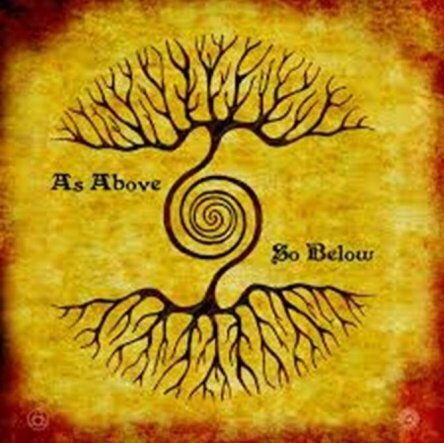 Working with the universal principles so with-in, so with-out and as above, so below, will enable you to shift and transfigure into a state of oneness and harmony with the Web of Life and transmute negative beliefs, attitudes and energies to create changes in your health, relationships, and the environment. Working with imagination, Spirit allies, Nature, Shamanic journeys, sound and rituals to shapeshift into the transfigured state of congruence and balance, you will reclaim your Divine light to affect change to flourish and thrive during challenging times. Shamanic journeying experience is required. All levels of shamanism experiences and traditions are welcome. Suggested reading: Medicine for the Earth: How to Transform Personal and Environmental Toxins by Sandra Ingerman. Please bring to the workshop your single frame drum and a rattle, rock, something to lie on, eye covering, and journal and pen. 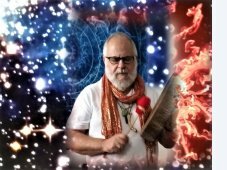 Tony Allicino has been a student and practitioner of shamanism since 1997, and has taught workshops at LaGuardia Community College/CUNY, The Open Center, Shantigar, Journeys to the Soul, Spirit Hollow, Kirkridge, Easton Mountain, Menla House, Dawn Manor, and SFR Soul Haven. He has studied shamanic traditions with Michael Harner, Sandra Ingerman, Tom Cowan, Christina Pratt, Nan Moss and David Corbin, Uncle Angaangao, Ailo Gaup, and indigenous shamans of North and South America, and Nepal; and ecstatic dances and movement with Gabrielle Roth, Emilie Conrad and Alessandra Belloni; and tai chi and qigong with Sharon Smith and Juan Li. A participant of indigenous Sacred Dances throughout the United States, he is a Grail Reiki Master, graduate of Sandra Ingerman’s Teacher Training Program, member of the Foundation for Shamanic Studies, Society of Shamanic Practices (SSP), ShamanicTeachers.com, and an SSP Shamanism Without Borders Community Leader. In 2014 he walked his pilgrimage on the Camino de Santiago de Compostela and, since 2007 has hosted a monthly Shamanic Drum Circle in New York City where he lives, conducts classes and sees clients.